Stuart Blinds shutters come in a variety of colours and finishes. Get the specific look you want for your windows by choosing from a range of shutters including wooden window shutters, white shutters, plantation shutters and custom shutters. Your local LUXAFLEX® Window Fashions Gallery, Stuart Blinds in Manly’s Northern Beaches will help you transform your home with their unique range of Luxaflex Window Fashions, in different types of materials and colours. LUXAFLEX NEWSTYLE® Shutters come in a variety of ranges guaranteed to give every home a touch of style. 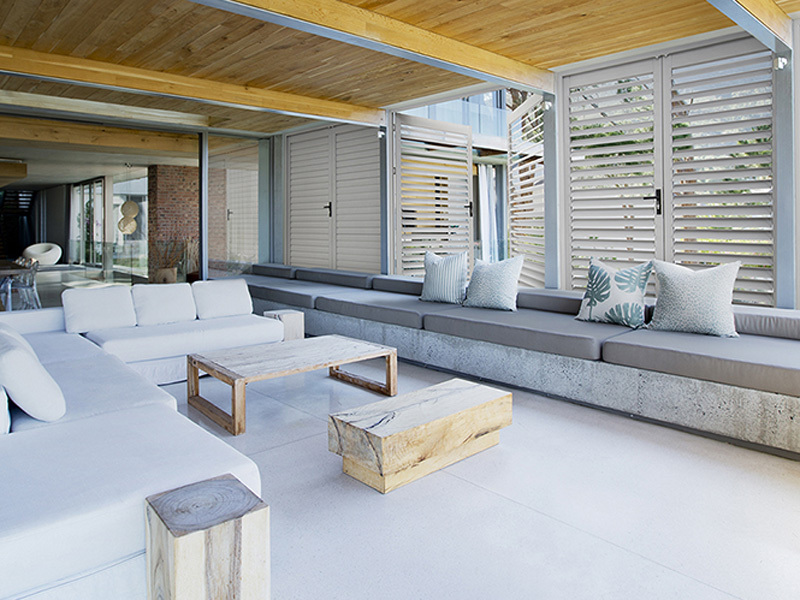 For a basic overview of Stuart Blinds Luxaflex Shutters range, see below. Introducing PolySatin finish, a revolutionary technology for LUXAFLEX NEWSTYLE® Polyresin Shutters that successfully achieves the look of a premium painted shutter, without the draw backs of real wood. This means it can get wet and be washed without moisture warping issues. LUXAFLEX NEWSTYLE® Shutters with PolySatin finish brings elegance to any interior with the soft, matte lustre of a freshly painted finish. LUXAFLEX NEWSTYLE® Polyresin Shutters are low maintenance and are manufactured from a unique Polyresin compound, which minimises total cost and life-cycle impact upon the environment, when compared to alternative materials. The Shutters are available in three models, Hinged/Hinged Bi-Fold, or sliding and in three modern colours – Vanilla, Pearl and White. Featuring an impressive range of painted and stained colour options in a new lightweight hardwood timber, the LUXAFLEX NEWSTYLE® Shutter Range offers a beautiful combination of functionality, durability and quality. The standard hinged option is suitable for small to medium sized windows and can consist of one or more rectangular shutter panels hinged in a variety of configurations. There are a number of bi-fold styles suitable for varying widths and window heights. The bi-fold option not only creates space but provides a modern look that allows you to enjoy seamless indoor, outdoor flow. The sliding system allows you to cover wide openings, and is a wonderful way to treat sliding doors to match the rest of your windows. LUXAFLEX NEWSTYLE® Basswood Shutters are of premium quality and made from Basswood timber which is lightweight, strong and durable. The TruView® Hidden Tilt Mechanism, means a clear, unobstructed view through open louvres, as well as quiet closure, meaning you are not disturbed by the rattling sounds of a traditional stapled tilt bar moving in the breeze. Available in four paint finishes or 22 stained finishes, there are four models available in the LUXAFLEX NEWSTYLE® Basswood Shutters range – hinged; hinged bi-fold; bi-fold on track; or sliding on track. Choose from the traditional flat louvre or an elliptical louvre in three sizes – 65mm, 91mm, or 116mm, allowing you to decide on the amount of view-through. Stuart Blinds Manly in the Northern Beaches states that their LUXAFLEX NEWSTYLE® Shutters range is versatile in design and use, water resistant and will not warp, shrink, peel, fade or need re-painting, making the shutters ideal inside or outside the home. 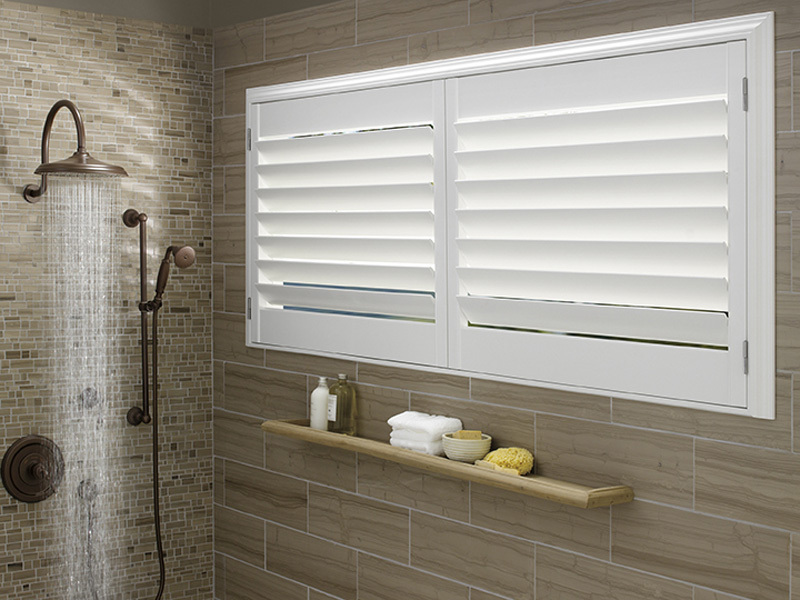 The Luxaflex Shutters range combines functionality and versatility. Stuart Blinds install picture-perfect shutters that give their clients projects the wow factor. Areas serviced include Mosman, Belrose, Cremorne, Palm Beach, Avalon, Crows Nest and many more suburbs along the Northern Beaches and North Shore. If you need blinds and shutters installed or serviced in your home, Stuart Blinds have a range of quality products to choose from. Options include blinds, romans, shutters, verticals, roller blind, blackout, venetian, fabric and roller. If you want to enhance your windows and lighting, and improve the look of your room or outdoor area, you'll walk away a happy customer with Stuart Blinds. If you're based on the Northern Beaches or North Shore, Stuart Blinds is the place to go for plantation shutters and more. Whether you reside in Brookvale, Newport, North Sydney, Mona Vale, Mosman or surrounding suburbs, visit Stuart Blinds showroom in Manly to learn more.